The current dispute between China and Japan over a few barren islands inhabited by goats – called Diaoyu in Chinese and Senkaku in Japanese – looks at first sight to be a mere territorial spat. But it has escalated to a very dangerous level in recent months — first words, then actions of police forces, now actions of air forces, and, behind all these, both sides have mobilised all their military, political, economic, diplomatic, and cultural energies to engage in the dispute. It is more fundamental than normal territorial disputes, because the very identities of the two countries are at stake. A strong narrative has taken hold in the West and much of East Asia about China’s behaviour, which starts with the proposition that China is the provocateur. Examples include, “China sows new seeds of conflict with neighbours”; China has adopted an “increasingly sharp-elbowed approach to its neighbors, especially Japan”; “China…has launched a new campaign of attrition against Japan over the Senkaku islands…. Beijing has sought to challenge Japan’s decades-old control, despite the risk that an accident could spiral out of control”. Proposition two is that China’s more “sharp-elbowed” approach is driven by the government’s wish to divert public attention from China’s internal problems, notably slowing economic growth; not by actions of other states. Proposition three is that China’s “bold, brash, and brazen” behaviour has prompted the United States’ recent high-profile “pivot to Asia” as it winds down wars in West and Central Asia. In the words of an International Herald Tribune report, “the United States forges ahead with efforts to counter China’s influence in Asia…”, now welcomed in by previously more ambivalent allies. “In both Japan and South Korea, the perception of China has changed to being a threat and that has made the U.S. seem much more favourable as a source of security…”. The allies are also expanding security ties with each other “as a way to offset China’s growing presence…. But analysts say Japan will need to reverse a decline in military spending before Washington is convinced Tokyo is doing enough to keep China’s aspirations in check”. We should be suspicious of a narrative that presents the US and China’s neighbors as innocent victims of China’s bullying. By presenting the US pivot to Asia as a response to the invitation from Asian countries worried by China, it obscures the US strategy of re-asserting hegemony over East Asia; it too easily elevates China in place of the Soviet Union as the looming external threat to peace-loving democracies, helping the leaders of those democracies to boost their internal support; and it too easily justifies a military build-up all around China, to the benefit of militaries everywhere. The islands lie 120 nautical miles northeast of Taiwan, 200 nautical miles east of the Chinese mainland, and 200 miles southwest of the Japanese-controlled island of Okinawa. Japan formally annexed the islands in 1895, claiming they were not in anybody’s ownership or effective control. The Chinese government rejects the annexation as illegitimate. It claims that it had possession of the islands for 500 years before 1895, as charted on Chinese maps and recorded in Chinese ships’ logs. More specifically, records of Chinese tributary-system missions to ordain the kings of the Ryukyu kingdom (covering islands in the chain from southwest Japan to northeast Taiwan, of which Okinawa is the largest) state that the Diaoyu/Senkaku are on the Chinese side of the boundary between the two entities. China says that the Imperial Japanese military seized the islands in its defeat of the Chinese military in the first Sino-Japanese war of 1894-5. Hence the islands should be returned to “China” (with ambiguity as to the government of the mainland or the government of Taiwan) as part of the post-1945 return of territories seized by Imperial Japan. Japan counter-claims that the fact that Chinese maps presented the islands as Chinese and that Chinese ships visited gave no legal basis for ownership. The only other basis for ownership, other than annexation, is to have people there, which China did not. So Japan’s annexation in 1895 is determining. Furthermore, for the first 75 years of Japan’s control, from 1890 to the late 1960s (when evidence came to hand of undersea oil deposits nearby), China made no complaints about Japanese control. Until 2010 the two governments left the settlement of their mutually exclusive claims undefined. This was the agreement that came out of the diplomatic recognition and friendship talks between the government of Japan and Zhou Enlai in 1972 and again Deng Xiaoping in 1978, who famously suggested that contentious issues like Senkaku should be “left to the wiser heads of later generations”. However, the government of Japan denies that there ever was such an agreement, and the Japanese government’s official records of Premier Tanaka’s normalisation talks with Zhou Enlai in 1972 do not mention it. The China side replies that the memoirs of Tanaka’s personal assistant (who attended the talks) say that the agreement was made, as do accounts of the Chinese representatives. Moreover Japan’s silence on the issue of sovereignty of the islands for almost twenty years after Deng’s announcement of the agreement in his 1978 visit to Japan can be interpreted as an implicit recognition of the agreement. In practice, Japan accepted the islands’ limbo state and did not try to colonize them, exercising “practical control” only by shooing away non-Japanese fishing boats. The current dispute began in 2010 when the Japanese government arrested a Chinese fishing boat in defiance of the Fisheries Agreement not to apply domestic laws to trespassing fishermen, and proposed to put the captain on trial. This provoked an unexpectedly furious Chinese reaction, which stiffened the Japanese government’s determination not to appear weak in its dealings with China. Then in 2012 the right-wing nationalist Governor of Tokyo purchased the islands from their nominal owner, a Japanese citizen, and proposed to colonize them on his own behalf. To undercut him the government nationalized them – bought them as property of the Japanese state; in effect, asserted Japanese sovereignty. In China’s eyes, this broke the “later, wiser heads” agreement, and provoked widespread anti-Japanese riots, anti-Japanese consumer strikes, and suspension of diplomatic relations. The government of China felt compelled to assert its claims to sovereignty, or face humiliation in the eyes of its own public. But much more than humiliation is at stake. China wants to wrestle sovereignty back, or at least restore the status quo ante of undefined sovereignty, for both military and economic reasons. It values the islands for their location in the “first island chain”, a string of islands south of Japan including Taiwan and smaller ones controlled by Vietnam and the Philippines. This first island chain currently prevents China’s ballistic submarine fleet from having unobserved access to the Pacific Ocean. 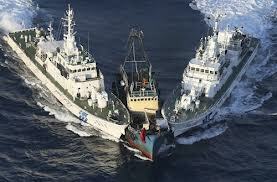 If China controlled the Diaoyu/Senkaku, or if no-one did, that would give China a break in the chain. The islands also have value as a platform for radar and missiles in the event of a war between China and Japan; and may well be valuable for oil and gas in surrounding seas. These factors weight all the more on account of the really big recent change in China’s external environment: the US’s high-profile pivot from Europe and West and Central Asia to East Asia. The shift is open-ended, with no specification of what it means beyond “containing China” and boosting military alliances with China’s neighbors. It resumes the emerging strategy of the early years of the President George Bush Jnr years, when the US identified China as a “strategic rival”. But after 9/11 the US became pre-occupied with Central and West Asia and needed China’s help in the “war on terror”. The US diversion allowed China 10 more years of Deng’s strategy of building strength in a hidden way, avoiding confrontations. In his first term, when the US was still mired in West Asia and Afghanistan, Obama tried to enlist China as junior partner in a “G2”, only to be rebuffed. As the US began to withdraw from West and Central Asia and wind down the war on terror, it elevated China as the new threat to world peace. Hence Obama’s first overseas trip after re-election was to Myanmar, Thailand and Cambodia, after which he announced that they were potential “military allies”, as though in expectation of another war. Secretary of State Hilary Clinton also made a long swing through East and Southeast Asia; and senior US defence officials have done the same. None has visited China, at least not publicly. All this looks like a US-led strategy to “contain” the rise of China, in Chinese eyes. What is more, the noose being constructed around it is not just military. The Trans Pacific Partnership (TPP) now under negotiation includes a long list of states on both sides of the Pacific: the US, Canada, Mexico, Peru, Chile, Australian, New Zealand, Malaysia, Singapore, Brunei, Vietnam; with Japan, South Korea, Taiwan, Philippines, Laos, Colombia and Costa Rica as potential members. The key feature is that the US is included and China is excluded. Among the TPP’s membership criteria, countries must commit to free trade, and commit to dismantle sizable state-owned enterprises. The latter condition is tailor-made to justify China’s continued exclusion. US subordinate allies, especially Japan, see the US’s “return to Asia” as a golden opportunity, maybe the last one, to assert their territorial claims vis-à-vis China. In Japan, some also see it as an opportunity to strengthen the Japan-US military relationship; for which purpose provoking China to hostile statements and actions is useful for securing public support for closer ties to the US, which could not otherwise be taken for granted. There has been a perennial conflict in the Japanese political and bureaucratic class between the “submissive to America” group and the “independent foreign policy” group; a conflict recently heightened by the success of the political party led by Shintaro Ishihara, which rails against what it sees as the Japanese nation’s servility to the US. However, both those who want closer US ties and those on the nationalist Right who do not, agree on the need to change the nation’s postwar Constitution to allow Japan’s military to undertake more than purely defensive combat; and therefore to increase military expenditure. The US is encouraging the government to increase its military spending, much of which would presumably be spent on US weapons systems. 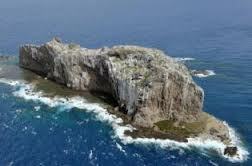 Chinese strategists interpret Japan’s recent actions with respect to the Diaoyu/Senkaku islands as a move useful for both the “submissive to America” and the “independent foreign policy” groups. By breaking the pre-condition (sovereignty left undefined), the Japanese government provoked China to assert its claims, which could be presented to the Japanese public and the world as “aggression” – and made to justify both higher military spending and closer US ties. But China’s claims rest not only on the location and history of engagement with these particular rocks. They also rest on much further-reaching understanding of China’s engagement with the West since the Second World War, and the need to reassert a status which the West has consistently denied it. The core of the issue is the contradiction – in Chinese eyes – between the two treaties settling the Second World War in the East, the Potsdam Declaration and the Treaty of Peace with Japan, generally known as the Treaty of San Francisco. 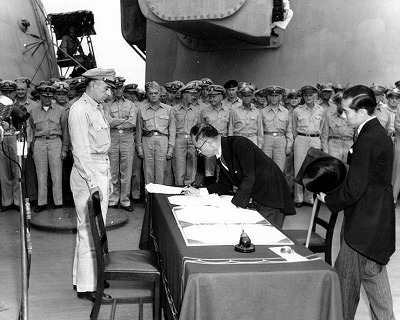 The Potsdam Declaration (Declaration Defining Terms for Japanese Surrender) of 1945 set the terms of Japan’s unconditional surrender. It was issued jointly by the Allied powers – the US, Britain, and China (the Nationalist or Kuomintang government); and the Soviet Union later “adhered to” the declaration. The Japanese government explicitly accepted it. The declaration said that Japan should retain no overseas territories. A later conference issued the Treaty of San Francisco in 1951, to mark the final settlement of the war in East Asia and the official end of the Allied (American) Occupation of Japan. 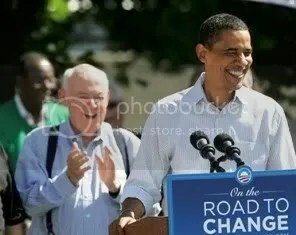 The US excluded China from the conference, which by then was governed by the Chinese Communist Party. (The US also excluded the Nationalist government, then resident in Taiwan but still claiming to rule the mainland.) The treaty allocated to Japan hundreds of islands south of Japan, comprising the whole of Okinawa prefecture, including the Senkaku. In China’s eyes the Treaty of San Francisco and its restoration of offshore islands to Japan is invalid, because (1) it broke the Potsdam Declaration – the foundation of the post-war order in East Asia — and (2) it resulted from a negotiation in which the government of China (one of the four Allied Powers) was not represented. None of the overseas territories seized by Imperial Japan, including the Senkaku, should have been restored to Japan. In practice the US continued to administer the whole Okinawa island chain until it agreed to restore them to Japan’s control, in 1972. But neither in the Treaty nor subsequently did the US define the sovereignty of the Senkaku, leaving that to be decided later. However, at the time of the Treaty of San Francisco the US said – rather vaguely — that the US-Japan security treaty would cover the islands, implying that the US would come to their defence. Recently, with its pivot to Asia, the US clarified that the US-Japan treaty does cover the islands, which China interprets as a provocative move. In short, China sees the Diaoyu/Senkaku dispute through the lens of a long pattern of Japan and the US breaking agreements, to China’s detriment; including the Treaty of San Francisco breaking the Potsdam Declaration, the Japanese government’s 2010 arrest of a Chinese fishing boat in defiance of the Fisheries Agreement, and the Japanese government’s 2012 unilateral claim to sovereignty over the islands, breaking the Tanaka-Zhou agreement of 1972. In a civilized world both parties would agree to submit their claims to the International Court of Justice; but neither side is willing to consider such a move. Meanwhile, wisdom on the Chinese side lies in recognizing the truth of Joseph Nye’s point, “Unless China is able to attract allies by successfully developing its ‘soft power’, the rise in its ‘hard military’ and economic power is likely to frighten its neighbors, who will coalesce to balance its power”. But political leaders and the media in the US and Japan also have a responsibility to act on Nye’s other point, “We should … ensure that China doesn’t feel encircled or endangered”. They are conspicuously failing in this respect. Martin Fackler, “U.S. plans complicated by allies with uneasy ties”, International Herald Tribune, 22-23 Dec 2012, p.1 and 4. Brahma Chellaney, 2012, “East Asia’s defining moment”, International Herald Tribune, 22-23 December, p.8. Joseph Nye, “Don’t try to ‘contain’ China”, International Herald Tribune, 28 January 2013, p.9.